At the head of the field Wayne Boyd in the no24 United Autosports Ligier was carving his way up and moved ahead of Benham and Trouillet in short order. 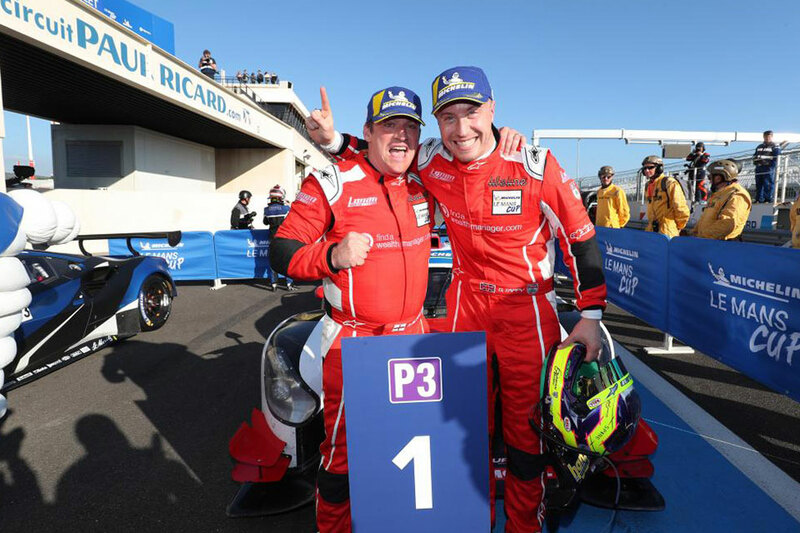 He then caught and passed Adrien Chila to take second and was seven seconds behind Kirmannâ€™s DKR Engineering Norma. The no9 Graff Norma was now leading the race thanks to the earlier strategic decision and Adrien Trouillet was leading the no39 Graff Norma of Nicolas Schatz by less than one second, with Duncan Tappy in the no25 Lanan Racing Norma in third ahead of Laurent HÃ¶rr in the no3 DKR Engineering Norma. HÃ¶rr passed Tappy for 3rd but had run wide outside of track limits to complete the move, a decision that would cost the German a drive through penalty later in the race. HÃ¶rr moved ahead of both Graff Normas to take the lead but the drive through penalty dropped him back to 5th place. At the front of the field Tappy was heading for the victory but the battle for the other two places on the podium was far from over. Laurent HÃ¶rr had passed Colin Noble in the no2 Nielsen Racing Norma for 4th and then went past Nicolas Schatz in the no39 Graff. However the German gave the place back as he had run wide to take the place and he didnâ€™t want to incur the displeasure of the stewards once again. On the last lap HÃ¶rr dived down the inside of Schatz at T5 and there was contact between the cars. The no3 DKR Norma took the place and took the chequered flag six seconds behind the no25 Lanan Racing Norma and just 0.6 seconds behind the no9 Graff Norma of Adrien Trouillet. However after the race the no9 and no39 Graff Norma-Nissanâ€™s were both given a drive through penalty, which was converted to a 35 second time penalty, because the drivers did not reduce speed to 80kph under Full Course Yellow procedure within the required time (Stewards Decisions no21 and no22). This promoted the no3 DKR Engineering Norma to second place and the no2 Nielsen Racing Norma of Tony Wells and Colin Noble to third in the final results. The no9 Graff was classified in 5th and the no39 Norma in 6th behind the no11 Racing Experience Norma of Charlie Martin and Gary Hauser.